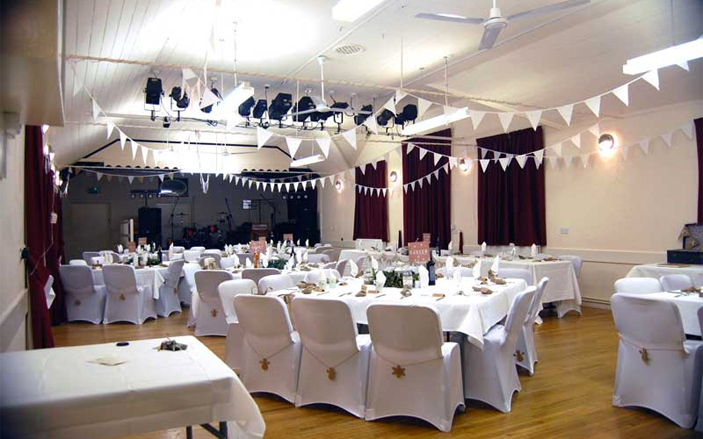 The Main Hall is 24 ft wide x 51 ft long (7.5m x 15.5m). 130 if the Side Hall and Bar Area are included. The floor is now laminated. Curtained windows down one side overlook St Mary's Parish Church. 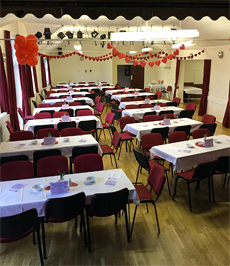 It may be possible to extend the raised stage area to the full width of the Hall for Village Organisations. You would need to supply a team of volunteers to do this. 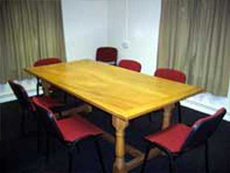 The Committee Room measures 12 ft wide x 15.75 ft long (4.8m x 3.7m). 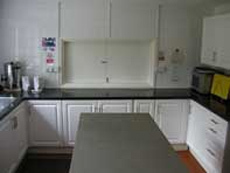 The Kitchen measures 12 ft wide x 17 ft long (3.6m x 5.3m). 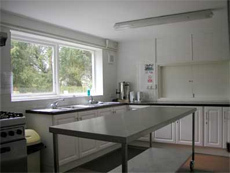 Our kitchen is fully equipped for catering with a 8 ring Propane gas range and ovens. 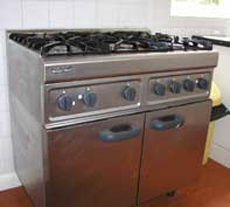 There is also an additional electric domestic cooker. 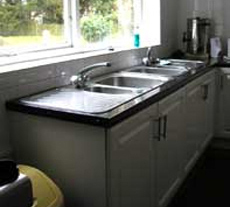 There are 2 sinks as well as 2 under counter fridges. 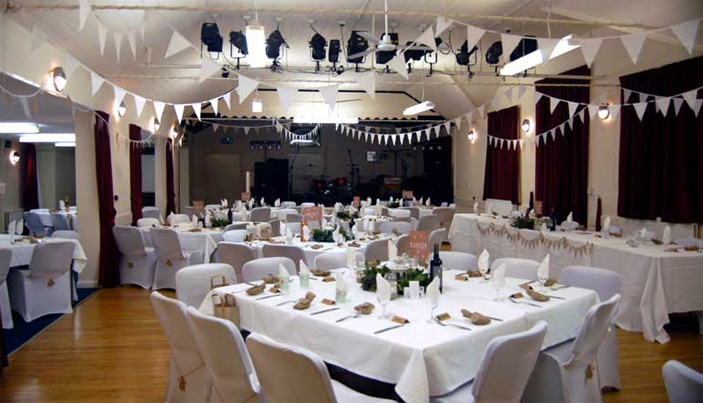 There is a large double door serving 'hatch' which opens direct into the Hall for your waiting staff to deliver hot food quickly to seated guests in the main Hall. 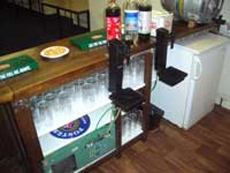 The fully equiped bar has glasses, both beer and wine glasses as well as tumblers etc. Most hirers like to rent glasses to add to those in stock. There is a fridge and beer pulls and pumps. 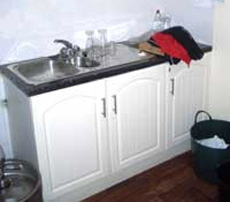 Behind the bar is a dedicated bar utility area with sink with hot and cold water. 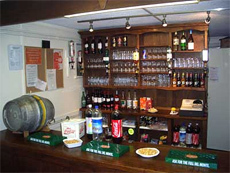 It is here beer barrels can be set up and served from the bar itself. The utility area has double access doors to the outside to make deliveries easy.